For expert restorative dentistry in Marietta, trust the professionals at Mansouri Family Dental Care & Associates. We are a comprehensive, family dental practice serving children and adults. 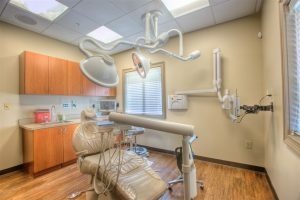 Our practice offers a full range of restorative dental services to the residents of Marietta and the surrounding areas. Our dentists are highly trained and experienced in restorative dentistry and are committed to restoring and enhancing the natural beauty of your smile using conservative, state-of-the-art dental procedures that result in beautiful, long-lasting smiles. For professional tooth restoration services in Canton, you can count on the experts at Mansouri Family Dental Care & Associates. We offer a full range of restorative dental services including fillings, extractions, root canals, apicoectomies, crowns, bridges, dentures, partial dentures, dental implants, implant overdentures, treatments for periodontal disease and full mouth reconstruction. Using the latest advances in restorative dentistry, we create dazzling smiles that brighten our patients’ lives. Your smile has a significant effect on your appearance and your confidence. If your teeth are in need of restoration, schedule an appointment with one of our experienced restorative dentists today. If you are looking for a dentist you can trust to repair your cracked/broken teeth, call Mansouri Family Dental Care & Associates today to schedule an appointment with one of our talented restorative dentists. Our practice offers emergency dental care and if you have experienced a dental emergency, we will make every effort to get you in to our office as soon as possible. Contact our Marietta Restorative Dentistry Experts today. Our dental practice is currently accepting new patients and we accept most forms of dental insurance. We also welcome patients who do not have dental insurance. We thank you for allowing us to take care of your dental needs and we look forward to exceeding your expectations.